The Australia-China Institute for Arts and Culture is attracting more and more artists for exhibitions and seminar discussions in the new year. On 15 February, 2018, famous Chinese artist Mr. Xie Tianci (谢天赐) visited ACIAC to speak about his artistic career and practice in a seminar. 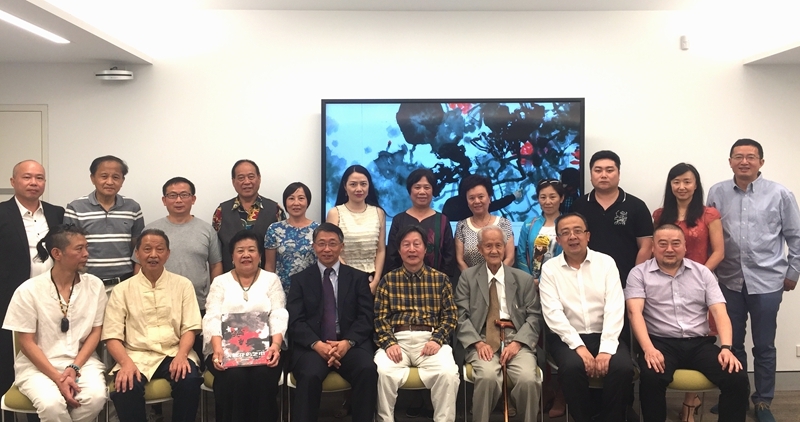 Mr. Xie was joined by a number of local Chinese Australian artists, people from Sydney-based Chinese language media and other members of Chinese community in Sydney. The seminar was co-hosted by ACIAC and the Asia Pacific Professional Managers Association(APPM). Active APPM member and ACIAC Advisory Board member Helen Sham-Ho and ACIAC Director Professor Labao Wang chaired the event. Professor Wang welcomed the visitors and introduced the Institute’s work since its founding. Madam Sham-Ho introduced the artist and his art. Mr. Xie spoke about the three stages of his artistic career: the early oil painting stage, the lotus stage and the birds & flowers stage. He revealed that his next stage would involve a major extension of horizons that is marked by an interest in Aboriginal Australian art. Passionately explaining his understanding of art, Mr. Xie told the audience that he didn’t start with a rigorous design when painting. Instead, he would begin most randomly with anything anywhere, but ultimately he would come back with a heightened sense of order in each work. 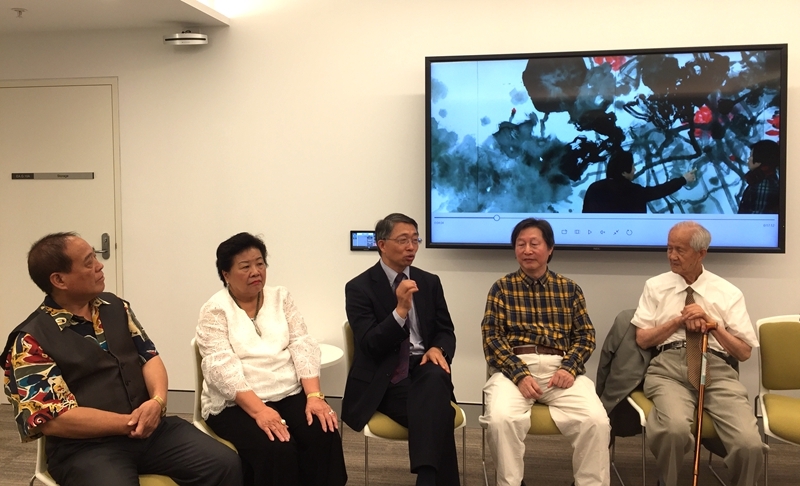 Chinese Australian artists Mr. Huang Qinghui (黄庆辉), Xu Yun (徐澐), Jiang Yan (江延) and Li Aimin (李爱民) responded to Mr. Xie’s speech with ample praises for his unique achievements in painting and explications of the rich Taoist philosophical import of his works. Also at the seminar were Professor Yuming (Jeff) Chen, President of Australia Society of General Society for Chinese Classical Poetry, Mr. Tao Li, Chief Executive Officer of Caresence, Mr. Zhanxiang (David) Lu, Vice President of Asia Pacific Professional Managers Association, and Ms Rowena Chen from 1 Media Pty Ltd. The event has been widely covered by the Chinese language media in Australia.